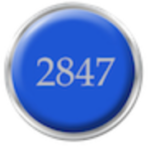 All requests for technical support, repair, training or professional development or other instructional technology service must be reported to 2847. Students must complete this form for tech help and repairs. Teachers can complete this form, call x2847 or send an email to 2847@apsva.us. This will create a service ticket that will be assigned to a member of the technology team. Copy tyler.witman@apsva.us on the email so he knows about the problem! This Tech Help section introduces you to the technology resource team at H-B and gives you written and video instruction and tips on how to resolve some of the most common problems. Have a question you think should be answered on our Frequently Asked Question page? Send your question to tyler.witman@apsva.us.